A subject I’ve talked about before is how essential I think it is to add art to your decor. In fact, I wrote a whole post on the importance of it, especially if you’re trying to get a more “collected” look. But something I really love, is finding art in unexpected places. Like the kitchen. And believe it or not, the bathroom. Art in the bathroom is one of my absolute favorite ways of using it, and I’m glad to see it’s a trend that is becoming more common! 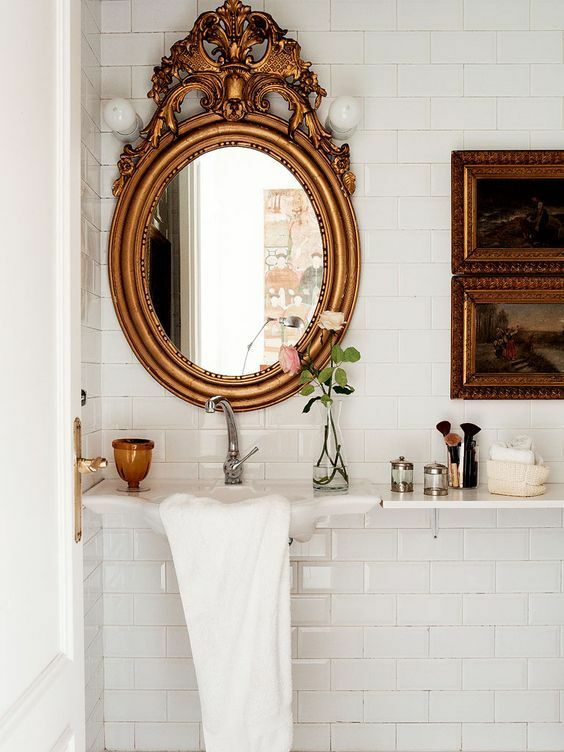 The contrast of utilitarian things like chrome finishes, tile, and toilets, set against the glamour of a piece of art, is unexpected and adds visual interest into what can otherwise be a pretty bland room. And though personally I love an old oil in a gilded frame, any art can add character to the space. 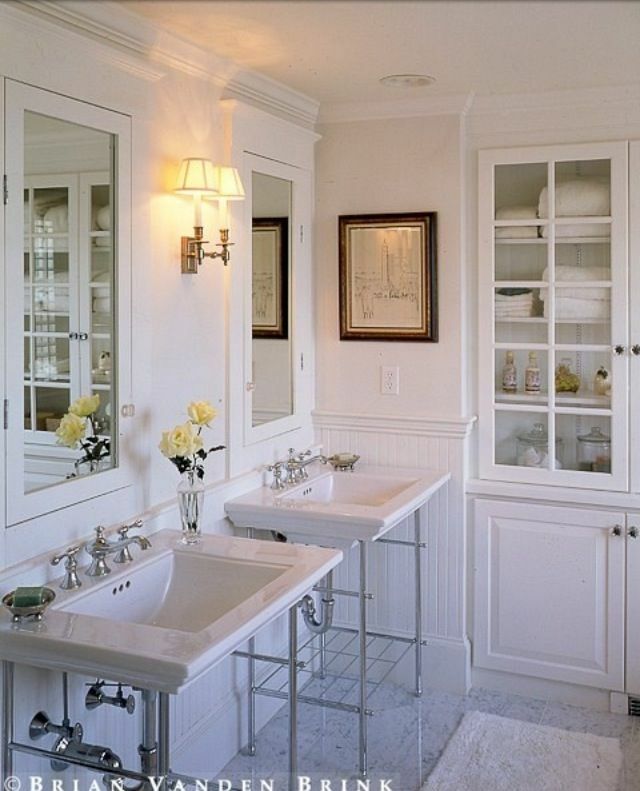 Amazing bathroom by designer Kerry Joyce. I just adore this classic oil framed in gold against all the white! Here they used a simple drawing or etching and it added so much to this space! Photo via Brian Vanden Brink. Again one painting makes a big statement. Via Country Living. 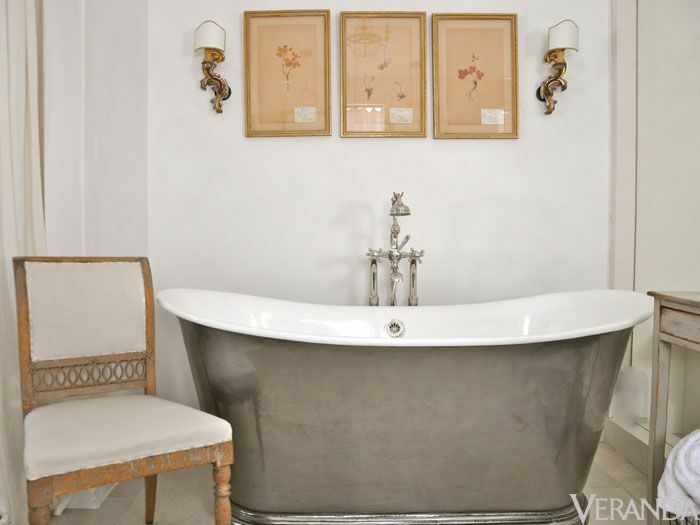 Bathroom by Brooke Giannetti via Veranda magazine. Love the mix of finishes here, too! 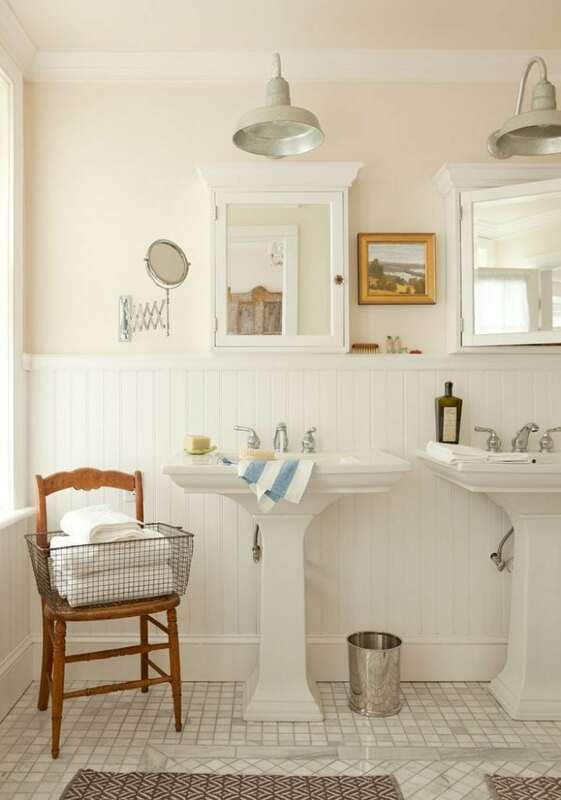 A fun gallery wall in this pretty bathroom. 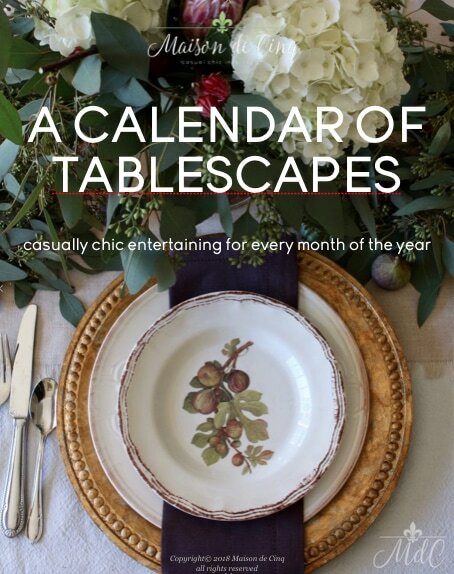 Design by Carrier & Co. via Architectural Digest. Love! These stunning and unusual Asian style art pieces are the focal point of the whole room! 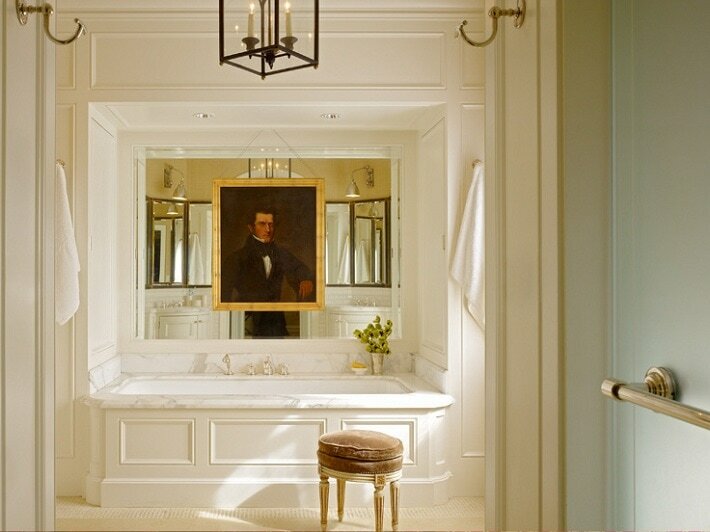 Bathroom by J. Wilson Fuqua & Associates Architects. 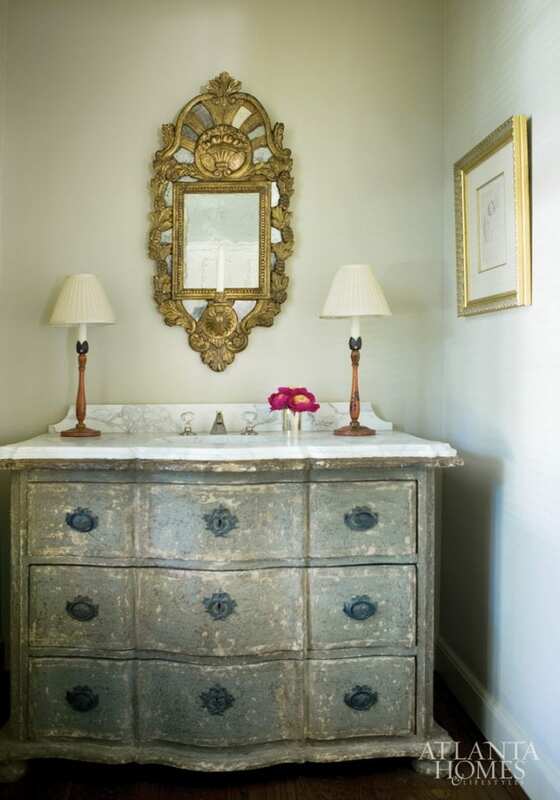 Design by Tammy Conner via Atlanta Homes magazine. 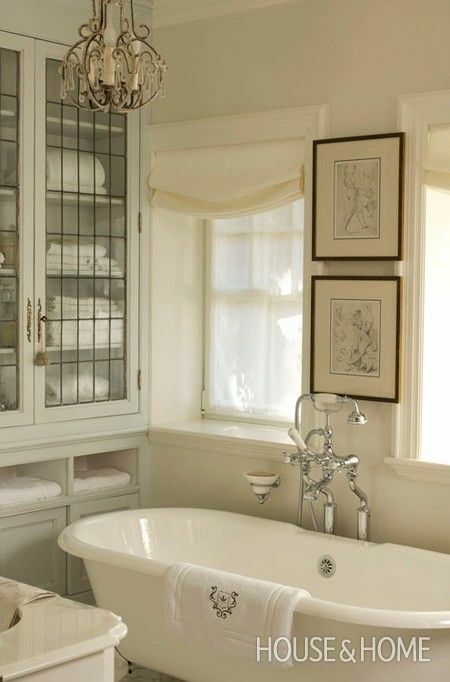 Another old-school style oil updated by putting it in a contemporary bathroom. By Designer Ken Fulk. 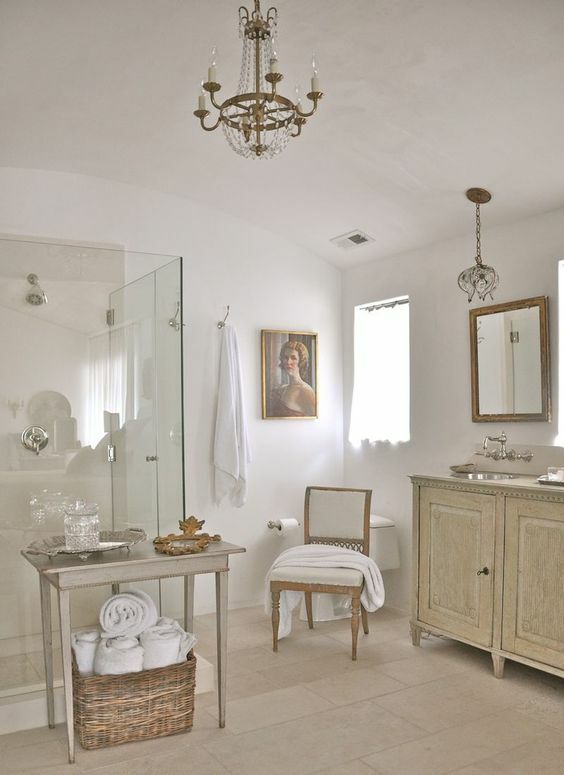 Designer Brooke Giannetti frequently uses art in her bathroom designs. 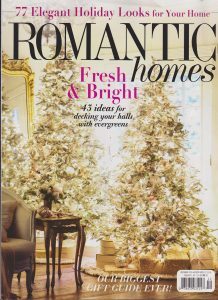 Designer Julie Charbonneau via House & Home magazine. I love the simplicity of the one painting and the drama it adds to the room. Via Lynn Scalo Designs. 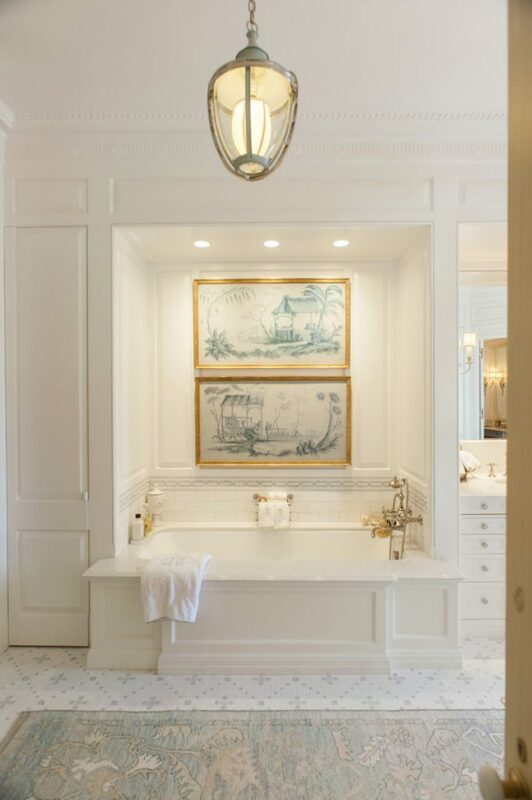 Whether you use watercolors, oils, or even drawings or photography for art in your bathroom, they all add an element of surprise. But I do think the real part is essential. Prints from a chain store, though pretty, don’t really have the same effect. The idea is for it to be something original and not mass produced. If you can’t find affordable “real” art or paintings aren’t your thing, then frame one of your children’s drawings or even an enlarged photo from a special trip. That way it will be personal and special. And truly reflect you. And it won’t be something that anyone else has! For some ideas on where to get affordable and original art, check out Ebay or Etsy. Etsy, especially, has artists that will produce a custom painting for a reasonable price. 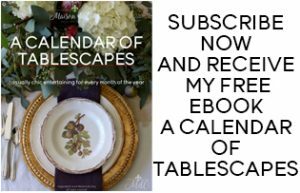 Garage sales, flea markets, and even some vintage stores are also good sources. Real art can be surprisingly inexpensive in these places, especially if it’s unsigned or by an unknown artist. You can also check out sites such as One King’s Lane and Chairish. As long as you like it, it doesn’t matter who it was done by. All that matters is that it speaks to you in some way, and that it brings you joy when you look at it from your view in your bathtub! I wholeheartedly agree! I love an unexpected oil painting in the kitchen or bathroom, it’s the best. Love the inspiration in your post. So glad you agree Karen! It’s definitely one of my favorite ways to add character to an otherwise utilitarian space. Thanks for stopping by, and Happy Weekend!